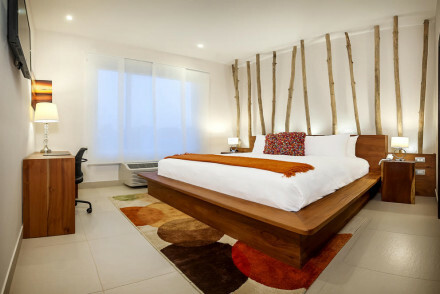 A chic boutique property with easy access to central Managua. Smart rooms are light and airy with large contemporary artworks, luxurious bathrooms and sink-in-to beds. A terrace restaurant serves up sumptuous cuisine in romantic surrounds. A courtyard pool is the icing on the cake. Fabulous. Local exploring - A boutique hotel well located for accessing the city. Sights nearby - Visit the impressive Old Cathedral of Managua.